Myanmar (erstwhile Burma) is a Southeast Asian country surrounded by India, China and Bangladesh respectively on 3 sides. It is a member of the Association of Southeast Asian Nations (ASEAN) since 1997. Myanmar has significant natural resources and a young and mainly literate workforce. Of late, the country has been overhauling its legal framework and implementing business-favourable laws and regulations, which are required to attract foreign investment in Myanmar. In 2012, the old Foreign Investment Law (FIL) of 1988 was replaced with a new one. This has led to improvement in certain tax incentives and long-term land lease options. A company in Myanmar can be formed as one of the following legal entities. Wholly Owned Foreign Company: Also known as a limited liability company, a wholly owned foreign company in Myanmar requires 2 shareholders and 2 directors to set up. A company secretary is not required. For forming such a company, approval from the Myanmar Investment Commission (MIC) is required. The minimum paid-up capital for companies with foreign shareholders is $50,000 for service industries and $150,000 for manufacturing industries. Joint Venture: A Myanmar joint venture company is like a limited liability company formed by 1 foreigner and 1 local shareholder.A jointventure can be registered under the Myanmar Companies Act regulated under the Myanmar Foreign Investment Law. It has both Memorandum of Association (MoA) and Articles of Association (AoA). The articles of association may include special voting rights and other minority shareholder protections. Care must be taken by foreign investors in prescribing the powers of the managing director, etc. There are no nationality or residence qualifications applicable to directors unless otherwise prescribed in the articles of association. Public Limited Company: A Myanmar public limited company is subject to the same requirements as a limited liability company does, with the only difference that the former’s financial statements are also subject to audit rules.It requires 7 shareholders and 2 directors to be set up. Branch Office: A branch office is a wholly owned foreign enterprise. It requires a parent company for a branch office to be incorporated in Myanmar. Representative Office: A representative office can be 100% foreign owned. However, it is not permitted to pursue commercial or production-related activities in Myanmar. It can be employed to establish local presence sans any profit purposes. Myanmar has a huge market of over 50 million inhabitants, and one of the youngest population base in Southeast Asia. It contains a vast and virtually untapped natural resource storehouse, along with a relatively educated labour force and low wages. It is well connected with the rest of Asia via sea and air links. Business Setup Worldwide is a platform to help you set up your company. We assist you in setting up your business through counselling and incubation. We specialize in incorporation services, registration, licensing, financial accounting services, in addition to other value-added ancillary functions. Goal-oriented service, wide reach in company setup experience and industry domain breadth, adaptability to the changing global market trends, and the ability to come up with innovative business strategies and provide requisite support in implementing such strategies distinguish Business Setup Worldwide, providing your business the edge it requires for consistent growth. Business Setup Worldwide's proprietary business design techniques, in addition to its deep regional know-how and global reach, enable you to foresee changes in the market and target segment, and then model your businesses and modify operations to seize the opportunities created by those changes. 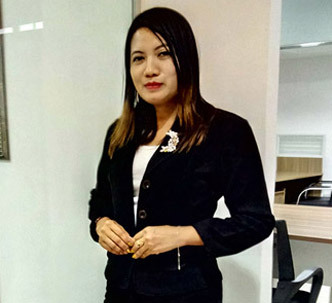 BusinessSetup Worldwide is a one-stop-solution provider that helps businesses in not only setting up their operations in Myanmar, but also supports inthe necessary documentation and legal formalities. Wide domain experience and familiarity with the laws of Myanmar help us to take care of passport, visa and licensing requirements of our clients, and ensure that their task is completed smoothly without unnecessary bureaucratic hassle.If you are wondering how to start a business in Myanmar, do reach out to us. Carry on with your business goals, leave the accounting and bookkeeping to us. What is the difference between a branch office and a representative office? The different between a branch office and a representative office is that the former is allowed to invoice and required to fill annual tax returns annually. How many shareholders are allowed for a private company and for a public company in Myanmar? For a private company, transfer of shares is restricted, and the number of shareholders may range from a 2 to 50. Public companies must have a minimum of 7 shareholders. Is an office required for registering a wholly owned foreign company in Myanmar? Yes, a physical office is mandatory for forming a wholly owned foreign company in Myanmar.